Last Chance to Support Warriors. Warriors need your support to raise $10,000 by this Saturday! Learn more in our first article. April 12-18 was National Volunteer Week, and we'd like to take one last opportunity to thank our amazing network of volunteers around the country. Last month, we shared a story about a group of stylists at United Hairlines in Chicago who recently held a fundraiser on our behalf and raised $2,700. 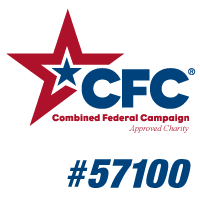 Now, the same group has entered a contest to have the chance to win $10,000, which they will donate to our Warrior Support Team outreach program if they win. 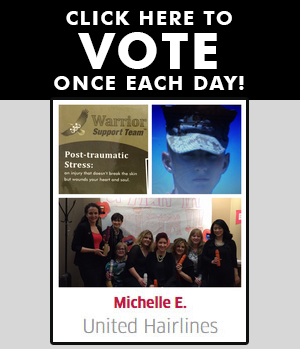 There are only three more days to vote and the stylists at United Hairlines still need your votes to win this contest. Voting is quick and easy and we know that with your help, we can make this goal a reality! The Marine Corps has a rich and proud tradition. The countless battle streamers earned by each individual unit is a testament to this fact. 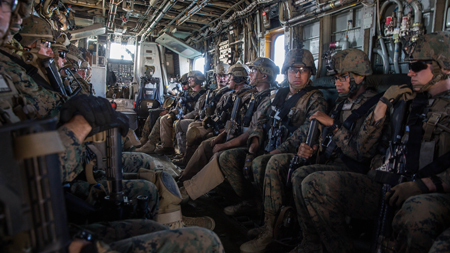 There are many things that the Marines do that set them apart from the other services. However, the Marines have always had a long standing history with the U.S. Navy. This is to be expected considering the Marine Corps falls under the Department of the Navy. The United States has a military unlike any other. Specifically, we are fortunate enough to have a maritime tour de force. As such, the Marine Corps and Navy often times operate hand in hand. Consequently, one of the many things that we use in conjunction with the Navy is their terminology. 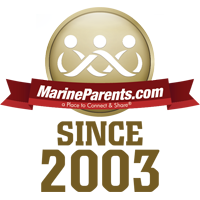 We would like to gather MarineParents volunteers to help out as a team at the 2015 Warrior Games. The Warrior Games is an annual sporting competition intended to bring together wounded, ill, and injured service members and veterans from across the country. This is the first year that the games are being organized by the Department of Defense, having previously been run by the United States Olympic Committee. The 2015 games will be held in Quantico, Virginia, June 19-28, and will feature eight sporting events with approximately 200 athletes representing teams from the Marine Corps, Army, Navy, and Air Force. For those who are interested in volunteering to help at the games with MarineParents, or to view the list of volunteer position descriptions and physical requirements, please click here. April 12-18 was 2015's National Volunteer Week and organizations around the country took the opportunity to recognize the hard work and dedication of those who volunteer, and we'd like to take this opportunity to thank the volunteers of MarineParents.com, Inc. for their hard work and dedication over the last year one last time. Whether you volunteer for Marine Parents online, at our office in Columbia, Missouri, or in one of the numerous other ways people around the country show their support, you are the backbone of our organization and nothing we do would be possible without you. We'd also like to extend a special "thank you" to everyone who joined us this past Saturday, April 18, for our second pack day of 2015 and our annual Volunteer Appreciation Lunch that immediately followed. More than 40 volunteers from across the Midwest were present to join us for some delicious BBQ and to recognize the hard work done by our supporters over the past year. A great time was had by all! 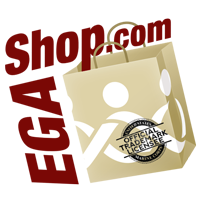 Spring is here, and that meant it was time for MarineParents.com's second Care Package Project pack day of 2015! 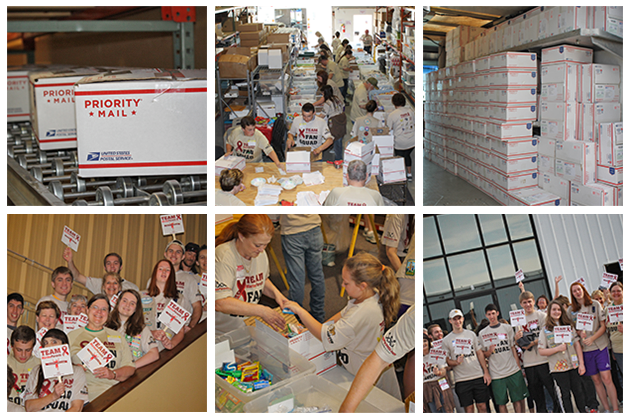 On Saturday, April 18, 41 volunteers from Missouri, Illinois, and Kansas joined us at our corporate office in Columbia, MO, to pack and ship 300 care packages to deployed service-members. Following the packing and shipping of the boxes, we held our annual Volunteer Appreciation Lunch in honor of April being National Volunteer Month. When everyone had finished eating, MarineParents.com Founder and Executive Director Tracy Della Vecchia gave a short speech thanking our volunteers and handed out President's Volunteer Service Awards, as well as "Volunteer of the Year" awards, to those volunteers in attendance who had earned the awards for their contributions to our organization over the last year. 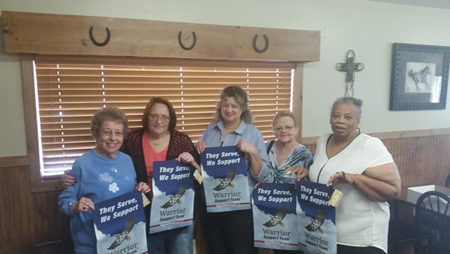 From left to right, Betty Brooks, LaTonya Miltell, Patty Hendren, Debbie Crocopio & Vydella Chapman holding up their "They serve, we support" Warrior Support Team garden flags. 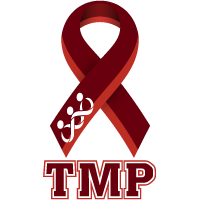 The Warrior Support Team™ has found a special group of ladies who produce adaptive clothing with tear-away seams in order to give our wounded warriors the dignity of being able to dress themselves with more ease--the Peacemakers Quilting Group from Moberly, Missouri. 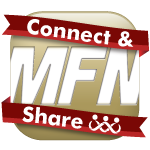 On Wednesday, April 22, 2015, MarineParents.com's Outreach Programs Coordinator, Candice Fields, went to lunch with the ladies in the "Spice of Life" program, and had the pleasure to sit back, enjoy their company, and talk to them about working with the Warrior Support Team and making the adaptive shorts.